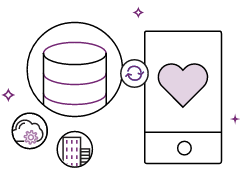 We are excited to announce that as an application or service owner, you can now develop connectors that allow your app to work with Microsoft Flow, Logic Apps and PowerApps. This enables your customers to easily automate their business processes and create their own no-code line of business apps. An API connector is an Open API (Swagger) based wrapper around a REST API that allows the underlying service to talk to Microsoft Flow, PowerApps, and Logic Apps. It provides a way for users to connect their accounts and leverage a set of pre-built triggers and actions to build their apps and workflows. By being a part of our growing connector family (currently at 125+), you can enable a wide range of business and productivity scenarios for your users. This post provides an overview of what connectors can do, why you should build a connector and how to get started! What can a connector do? Developing a single connector enables an integration for three different Microsoft products – Flow, PowerApps, and Logic Apps. Logic Apps is the workflow engine that powers Flow. It enables pro-developers to visually or programmatically configure workflows in Azure. A connector in Logic Apps can enable your customers to Automate EAI, Business to business (B2B) and Business to consumer (B2C) scenarios while reaping the benefits of source control, testing, support, and operations. PowerApps enables users to build cloud connected and cross platform business apps using clicks and no code. Using PowerApps, your customers can build simple apps for line of business scenarios that read and write data to multiple cloud sources. Some examples of such apps include survey forms, timesheets, expense reporting, etc. Users can securely publish and share these apps to the web or mobile for use within their organization. Why should you build a connector? 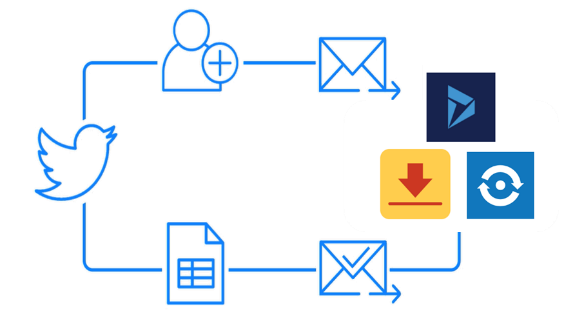 As stated above, building a connector offers extensibility of your app through PowerApps and automation and integration through Flow and Logic Apps. The same connector can drive more usage of your service and your existing API without additional development. Increase reach, discoverability and usage of your service by publishing pre-defined task specific templates that integrate your app with our growing family of connectors. The Flow and PowerApps gallery of connectors and templates make it easy for your users to get started. Embedding of the Flow experience within your app enables users to leverage pre-built templates from right within your application. Enable power users to leverage your APIs and extend your solution without having to write code. Using simple clicks, a business user can create and share a multitude of solutions like the one shown below, for organizational or personal use. The first step to building an API Connector is to build a fully functional Custom Connector within Flow or PowerApps. An API Connector is nothing more than a Custom Connector that is visible to all users of PowerApps and Flow. Learn more about how to develop a custom connector. As part of our 3rd party certification process, Microsoft will review the connector before publishing. This process validates the functionality of your connector, and checks for technical and content compliance as well as scenario fit. If your application is built on azure, every user of Office 365 Enterprise Plans will get instant access to the connector for your app. Learn more about the process to submit your custom connector for publishing. To build a connector for your SaaS offering, sign up today. Learn more about how to grow your SaaS business with Azure.